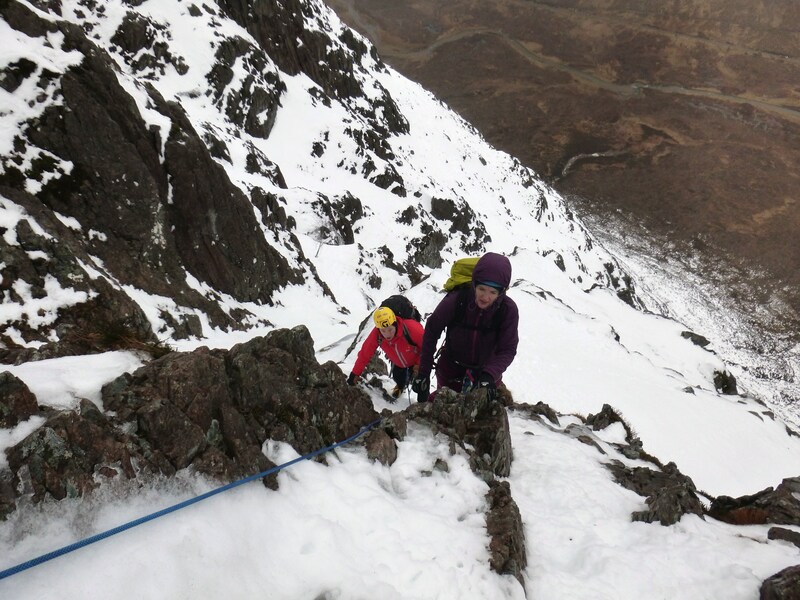 During yesterdays thaw Marie, Mark and I climbed Curved Ridge (III). In stark contrast to last week the route was rocky, soggy and quiet. It was clear on the way in that Crowberry Gully had avalanched and lots of ice was dripping/dropping off the crags. 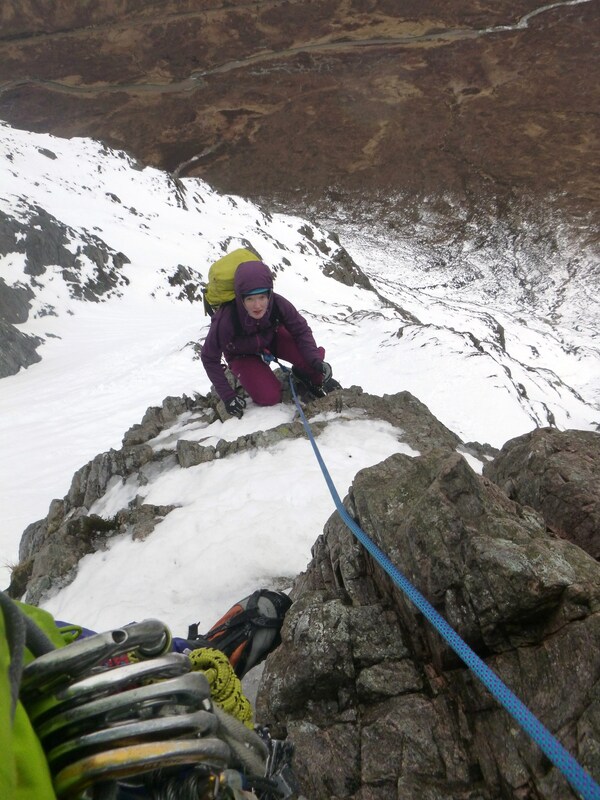 We carefully picked our way up, pitched the good bits of climbing before making an abseil retreat back down the route. Today we woke up to a few inches of snow down to sea level. I was looking for an accessible route for Mark and Marie so thought the Douglas Boulder would provide just that. We tried the forestry track in vein but having abandoned the van, still made reasonable time into the CIC Hut as the path was grippy under the new coating of snow. There was so much snow being blown around I didnt fancy walking dorectly under West Gully to get to our route, so we used the rising traverse that runs underneath Jacknife to get to the start of SW Ridge (IV). 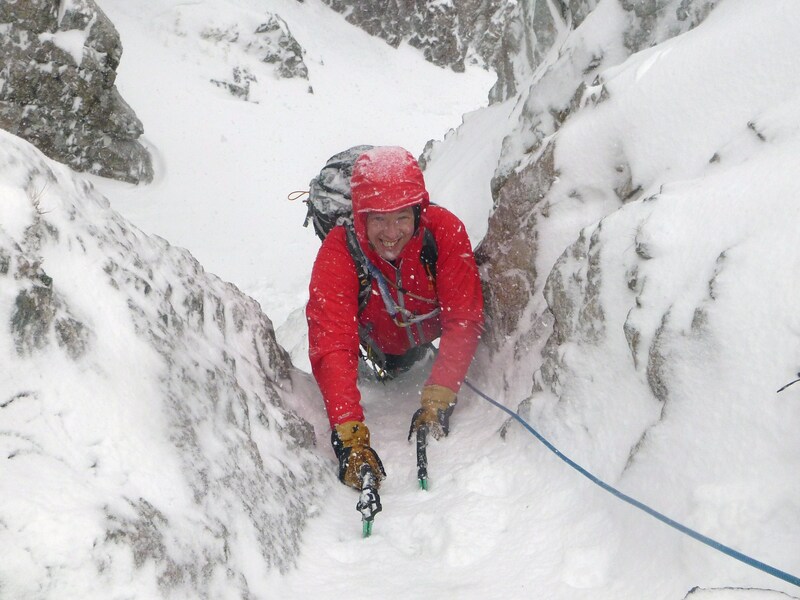 As always the route was good value witht he crux being very rocky with little in the way of helpful snow. 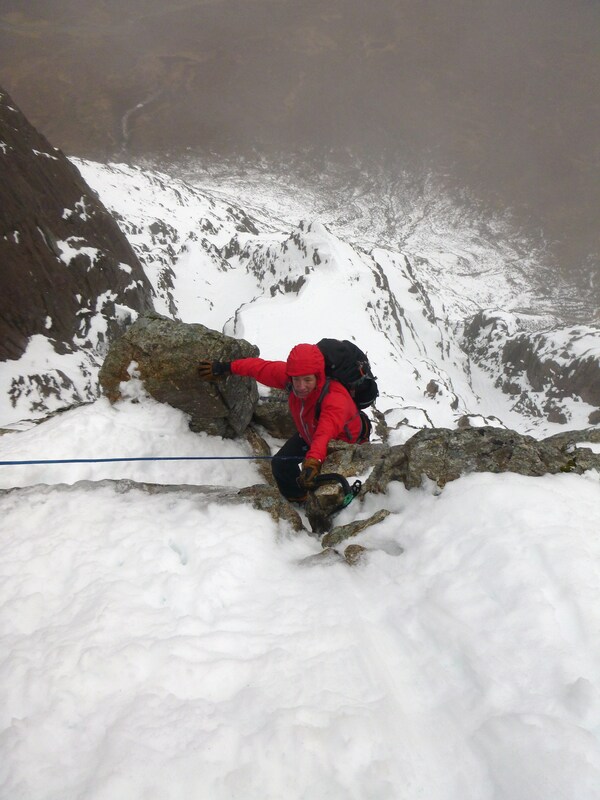 We abseiled down East Gully, following Iain and Mo as they were just ahead of us. As it turned out there was as much snow on this side of the Boulder! Another great day.